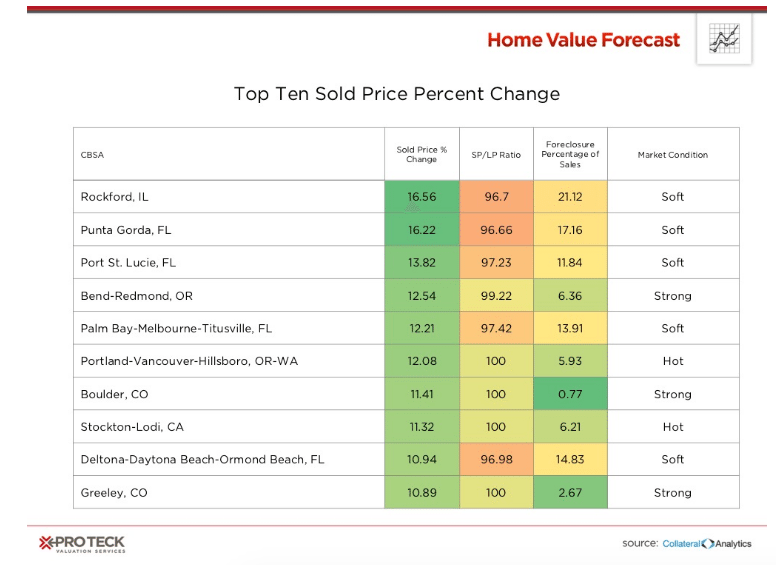 Although both Florida markets feature high selling prices, Punta Gorda and Port St. Lucie both scored poorly in Pro Teck Services’ May Home Value Forecast report due to high percentages of foreclosure sales. Miami-Miami Beach-Kendall area home prices saw a strong May, according to CoreLogic’s most recent Home Price Index, with 0.9 percent growth over April and a 5.9 percent bump year-over-year. Although considered overvalued by CoreLogic like most of Florida, Miami’s HPI is expected to grow 0.9 percent in June and 6.4 percent by May 2017. Real Trends recently recognized real estate’s best in its 2016 America’s Best Real Estate Agents list, breaking down Florida and Miami’s best performing agents and teams by closed transaction sides and closed sales volume. What really makes a hot housing market?